With Father's Day right around the corner, the inspiration from Joan on this card is perfect! She used the Ewe Are the Best and For the Boys stamp sets to create her design. 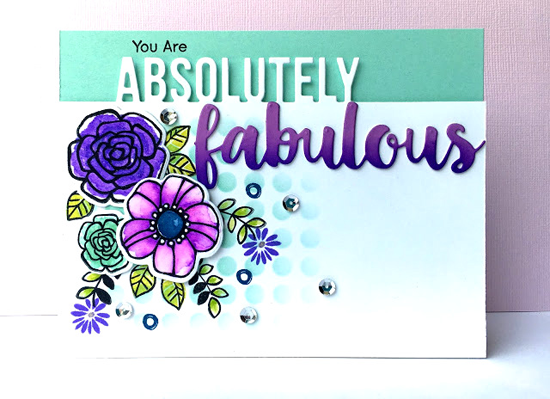 Not only is Lynn's design with the Pretty Posies stamp set and Die-namics lovely, this card has a special story behind it. An online friend got an extra Absolutely Fabulous Die-namics as part of our Free with $60 Die-namics program and offered to send it to Lynn. How FABULOUS is that? I love our giving community of crafters. 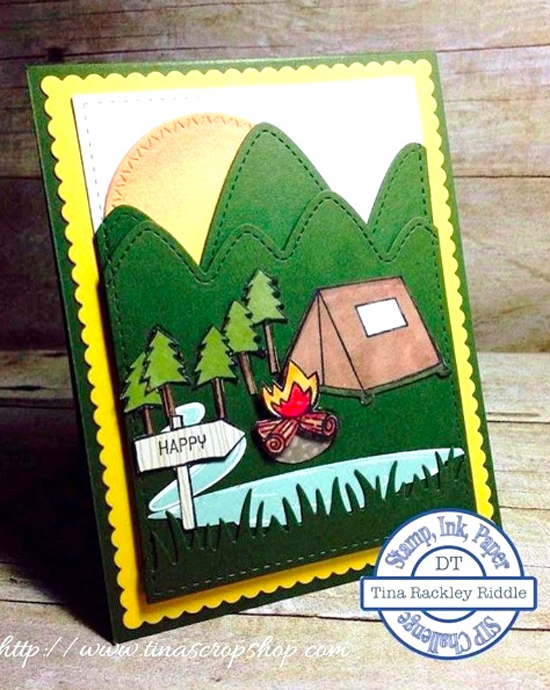 I spotted Tina's fun camping themed card on Instagram, and not only is it super cute, it fits our theme of Camp Create which is going on at the MFT blog this week! 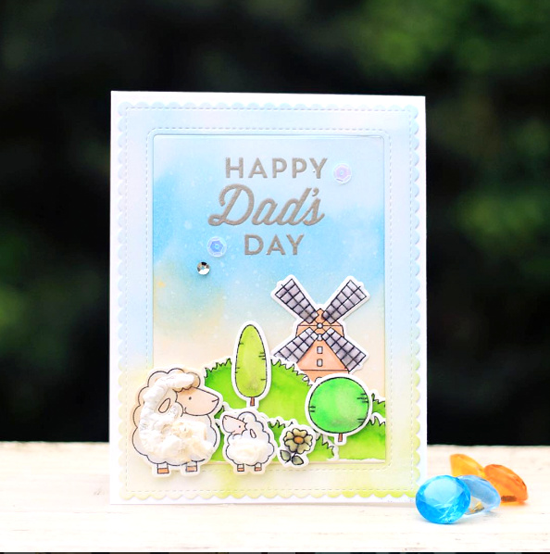 Tina used the Warm & Fuzzy Friends stamp set for her design. High five to Ted, our second male featured here on our You've Been Spotted posts! I love how Ted outlined the flowers that he stamped using the Modern Blooms stamp set. Very pretty! This card from Dana is a riot! 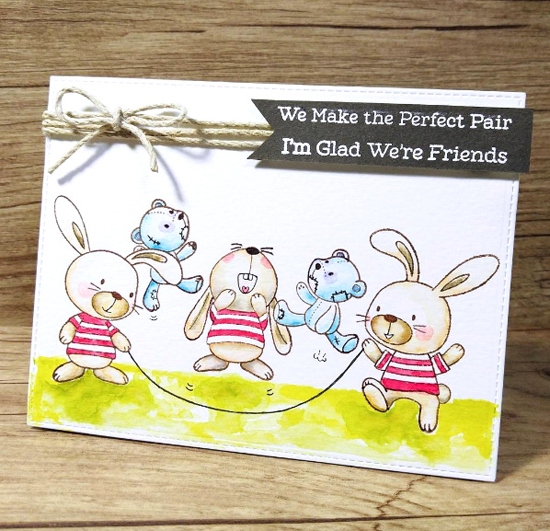 She used the images in the Snuggle Bunnies stamp set to create a playful jump roping scene. What a unique take on these cutie pies. Fantastic cards this week ladies!! Thank you so much for Spotting my card, it's an honor! Every one is gorgeous!! Great job to all the spotted ladies and Ted! :) Well done.